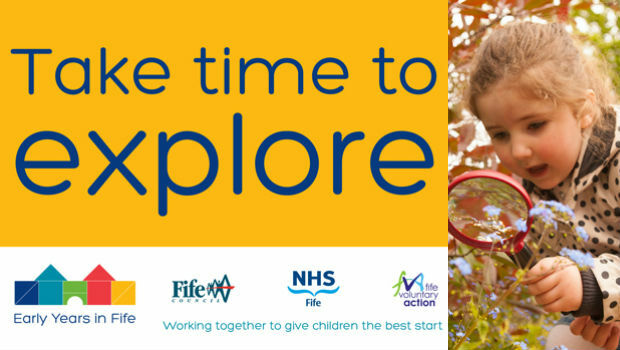 This National Play Day (Wednesday 6 August), Fife Council, NHS Fife and partners are encouraging parents and carers to “Take Time To Explore” their local area and have fun with their kids. “Exploring is vital to a child’s development and aids skills like pulling up, standing, problem solving, learning new words, and sparks the imagination. The new website gives parents information about what’s on in their local area, at the click of a button. This includes free events such as den building, storytelling and craft workshops as well as ideas on places to visit across the Kingdom such as the local beach, museums, parks, libraries and community events which we support.